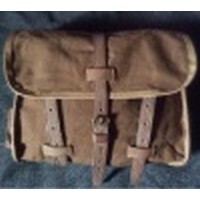 The Thompson rigger pouches look well made. I am looking forward to adding them to my impression. Nice pouch. Seems to be sturdy. Color is good. Would have given it a 5 but the fasteners are not real LTD.
Jerry , Love all the new products , your service has been so good and fast frieght.... great job! !